description: On Sunday, May 19, from 1:30-3:00pm, join hundreds of Pittsburgh kids for an afternoon of challah-baking, story-telling and Jewish unity. Open to children from preschool through Grade 5, with a special Bat Mitzvah Club table for girls in grades 6-7. 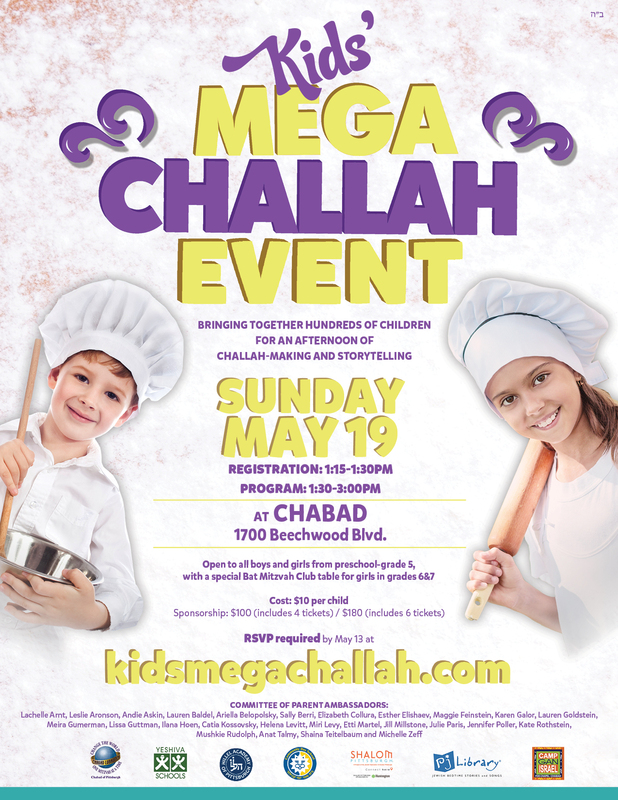 Registration required by May 13 at kidsmegachallah.com.